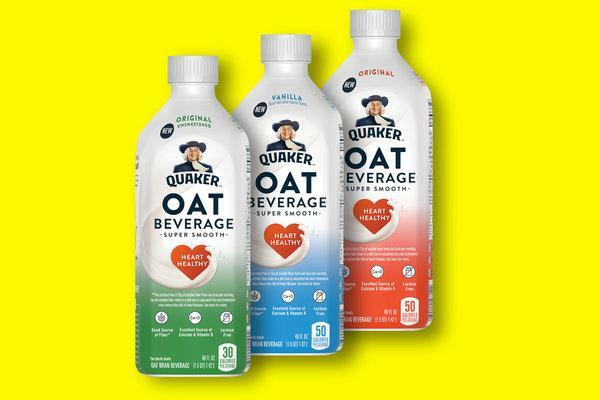 PepsiCo recently announced that its snack and breakfast brand, Quaker, will be launching an oat milk beverage in early 2019. This marks an important milestone in the world of dairy alternatives because it’s proof that the big players are looking to take advantage of the plant-based ingredients trend. Set against growing demand for dairy alternatives to match an increased drive for healthier lifestyles, we’re convinced that plant-based ingredients are the next big thing. Quaker launching an oat milk is proof-positive that what we discovered in our data platform, Signals Playbook™, was spot-on. This move did not come as a surprise; we saw the trend coming, spotting the patents published by PepsiCo over the last few years around Oat Milk preparation methods. PepsiCo was the only big player patenting in this space. When looking at companies currently offering oat-based dairy alternative products, we can see that most are small players. One brand has emerged at the forefront of this trend. Oatly is the leader of the pack in terms of number of products. This Swedish brand is a little quirky, with a bold, scrappy yet artistic look, and messaging that’s direct and conversational. No dairy, no nuts, no gluten – 100% vegan, is the message. They’ve certainly carved out a nice niche for themselves in the market. Other brands should take notice. So what about other brands? Here are a few to watch: We see Alpro and Silk, whose raison-d’etre is dairy free. Silk particularly is currently promoting its “new look” that might lead one to believe that they have designs to “re-enter” the market right as this dairy alternative trend is heating up. We believe PepsiCo and Quaker’s announcement to launch an oat milk beverage might mark a turning point, where larger players begin edging towards this dairy alternative trend; a trend that thus far has been embraced mostly by niche players. Further, PepsiCo announced it will differentiate its offering by labelling its oat-based drink as a nutritious plant-based beverage without using the word “milk” to create a new-age beverage in its own right. Contrast that with the fact that most brands today refer to the word “milk” when marketing their products as a dairy alternative. Watch this space! Marketing Manager at Signals Analytics. Carole formerly worked at Sodastream where she gained valuable CPG category experience. She holds a BA in Economics and an LLB in Law.